1) 1Q2017 market performance was the second strongest for a first quarter since 2008. Brokers and analysts said the recovery reflected renewed optimism by buyers after the stock market surged following the November presidential election. A spate of price cuts by sellers, as well as buyer’s eagerness to lock in before interest rates rose further also were factors, they said. 2) There was a lot of uncertainty prevailing in the second half of 2016 and the market experienced a pause. Buyers are now back and sellers realize that if they price their apartments at market they can seal a deal. 3) 330 contracts were signed with asking prices of $4 million or more in the 1Q2017, a 33% increase over the same period in 2016 (Source: The Olshan Report). 4) The first quarter was marked by a 17% decline in sales in new developments compared with the same quarter in 2016, offset by a 10.5% increase in sales of older condominiums. Sales of co-ops were down 2.5%. 5) The median apartment price was $1.13 million, off less than 1% from record high prices in the 1Q2016, but above the levels in the last three quarters. The median condo price was $1.73 million, down 3.4% from a year ago (this reflects in part fewer closings of high end luxury condos; the peak has past). The median co-op price of $772,500 was up slightly from the $770,000 median in the same quarter in 2016. 1) Due to the scarcity of affordable apartments, buyers are flocking to Upper Manhattan and East Brooklyn creating a highly competitive buyer’s market. 2) The median resale price above 110th Street in Upper Manhattan rose 7.8% year-over-year to $673,874 in February. In East Brooklyn, which includes neighborhoods like Crown Heights and Bushwick, the numbers rose 11% to $492,688. 3) Resale properties accounted for 84% of the market in the 1Q2017, up 7.7% from the same period in 2016. 4) The average purchase price was 4.2% below the asking price in the first quarter, which was double the rate in the same period in 2016 when the average difference was about 2.1%. 5) “When you have sellers more connected to market conditions you have more transactions, and that’s what seemed to happen during the first quarter”, per Jonathan Miller (Miller Samuel). 1) Tribeca marked its second consecutive quarter as the most expensive neighborhood in NYC; a 55% year-over-year price appreciation that pushed its median sales price above the $5 million mark. 2) Brooklyn boasts four of New York City’s 10 most expensive neighborhoods, marking one of its strongest quarters in years. 3) Brooklyn Heights saw the greatest price appreciation in the city at 127% year-over-year, followed by Boerum Hill with 104% and DUMBO with 76%; these figures are slightly skewed by a disproportionate closing of higher priced new development condos relative to other area neighborhoods. 1) Purchases of condos, co-ops and one-to-three family homes jumped 46% in the 1Q2017 from a year earlier to 2,800 deals while the number of homes on the market at the end of the quarter fell 20% to 2,290 (Source: Douglas Elliman). 2) Buyers have been leaving Manhattan for Brooklyn in search of affordable for sale housing. However, developers focused largely on rentals during the post-recession (2011-216) construction boom in Brooklyn and there is a lack of new development condo product. 3) Approximately 22% of all sales in the quarter were above the asking price. It would take just 2.5 months to sell all of Brooklyn’s existing inventory at the current pace of deals, the fastest rate in nine years (Source: Miller Samuel & Douglas Elliman). 4) In the area including Cobble Hill, DUMBO, and Brooklyn Heights, sales almost doubled in the quarter to 305, while inventory fell 21% to just 182 properties on the market. The median price of homes that sold in these neighborhoods jumped 68% to $1.5 million (Source: Corcoran). 1) A total of 869 condos sold in Brooklyn to date this year, up 48% from the 1Q2016, while new development sales doubled. Beyond that, the median price for new development condos jumped 44% to $1.1 million in 2016, and another 27% in the 1Q2017 to $1.4 million (Source: Douglas Elliman). 2) One of the major reasons for the strength of the Brooklyn condo market is that developers focused on building “affordable luxury” apartments in the $1.0 million-$3.0 million price range, which has largely been absent from the Manhattan market. 3) New developments, including Austin Nichols House, the Oosten, 50 Greenpoint, 51 Jay Street, The Boerum, 465 Pacific, The Hendrik, 610 Warren, The Nevins, 550 Vanderbilt, 280 St. Marks Avenue, 345 Carroll Street and The Baltic have attracted a large pool of buyers from the Upper West Side and Downtown/Lower Manhattan in search of a luxury life style product with good amenities and more space at an affordable price point ($1,200-$1,500/sf) vs. similar options in Manhattan ($2,000-$2,500/sf). 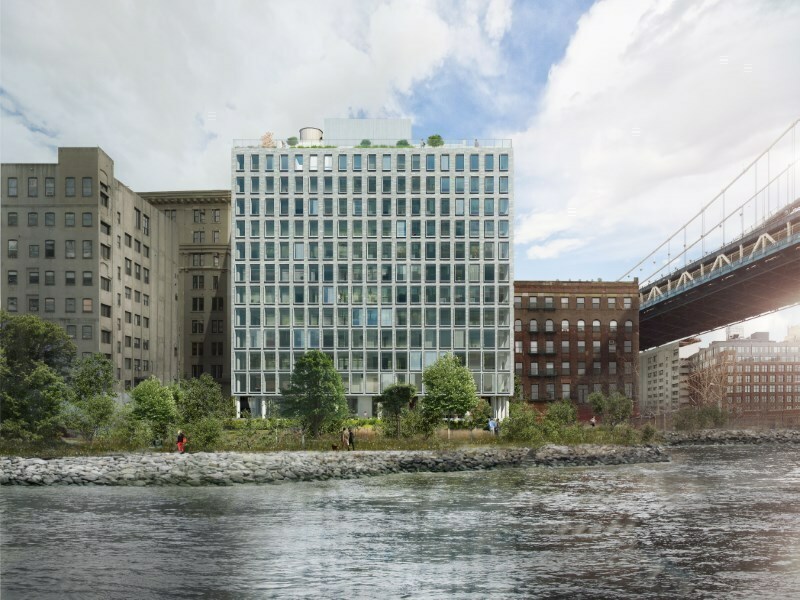 1) New developments in DUMBO and Brooklyn Heights have benefited from their direct access or close proximity to the new 85-acre Brooklyn Bridge Park. 2) 51 Jay Street ($1,600/sf), One John Street ($1,800/sf), Pierhouse ($2,000/sf), 200 Water Street ($1,600/sf), and the Standish ($2,000/sf); note-average sales prices; source-Street Easy. All of these new developments have exhibited relatively strong sales to date. 3) DUMBO with its warehouse/converted loft style buildings and cobblestone streets is an alternative to Tribeca at a more affordable price point with a location directly overlooking the East River along with expansive views of Manhattan. A 3,675 square foot penthouse at One John Street sold for $8.148 million or $2,228/sf. 4) Both Dumbo Heights and Empire Stores are adding a new dynamic to the neighborhood bringing on a daytime workforce in the creative and tech industries. 1) Brooklyn continues to evolve as a “live, work, and play” culture; both developers and company CEO’s have taken notice. 2) More and more tech, advertising, media, and information technology (known as the “TAMI” sector) companies are migrating to new creative office hubs in DUMBO, Williamsburg, the Brooklyn Navy Yard, Downtown Brooklyn, Bushwick and Industry City (Sunset Park) in search of a cheaper alternative to the Flatiron and Meatpacking districts where rents are $70-$90/sf. 3) Residential real estate values are likely to benefit from this trend long term, especially in the more emerging market neighborhoods. The 25 to 40-year-old creative work force values living in close proximity to their work place and desires connectivity to their community. Likewise, founders and senior executives of these media and tech companies are likely to populate the more pricey and established neighborhoods as well (Williamsburg, DUMBO, Brooklyn Heights, Cobble Hill and Boerum Hill). 1) Morris Adjmi is one of NYC’s most “go-to” architects and one of my favorites and very active in the current market. He is known for repositioning existing warehouse type buildings and a few of his notable projects include The Schumacher, The Sterling Mason, 465 Pacific, Austin Nichols House and 70 Henry Street. 2) “I’ve brought people to neighborhoods that are early in the development cycle and a lot of people aren’t risk tolerant. Think Soho in the 1990’s, or the Meatpacking District in the early 2000’s or Williamsburg then, too. It’s about balancing risk and rewards. You need to see early signs of things tipping in terms of change-things like boutiques, coffee shops and galleries”. 3) “In New York, most neighborhoods downtown are safe-the West Village, Tribeca. Demand always outpaces supply. Chelsea is a great neighborhood, but there is a lot of development going on there”. 1) Upper Manhattan includes Central Harlem, East Harlem, Hamilton Heights, Washington Heights, Fort George/Hudson Heights and Inwood. 2) Median home prices were up 9.5% year-over-year at $575,000 in the final three months of 2016, while the number of sales surged almost 40% from 199 to 277 as the market provided more affordable offerings than any other area of the city. Furthermore, the average number of days-on-market fell from 105 to 86 year-over-year. 3) Sales for Upper Manhattan’s townhouse market jumped 20.3% to $2.225 million year-over-year, however, the number of sales slipped 4% to 24 and average days-on-market jumped from 56 to 228; the listing discount almost doubled to 11.2%. 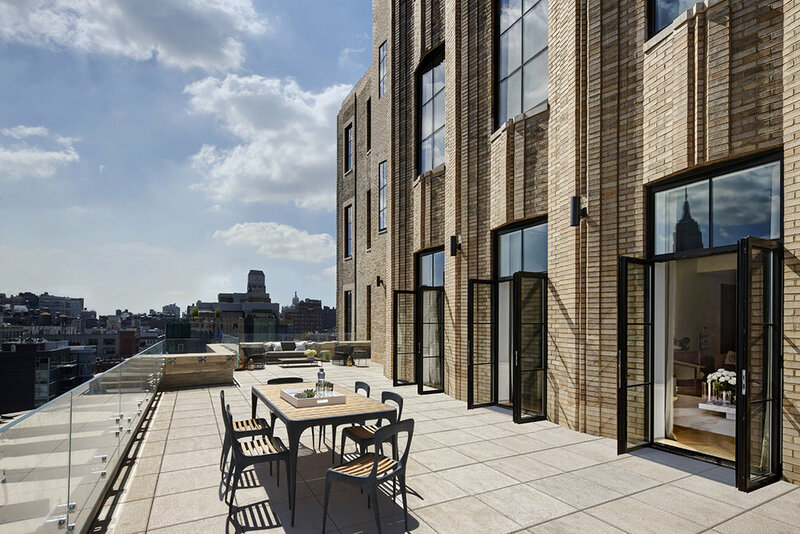 “Townhouses represent the most luxury segment of the market, and like elsewhere in Manhattan, it is softer at the top”, per Jonathan Miller (Miller Samuel). 1) The Lower Eastside in many ways is Williamsburg in Manhattan; a young affluent professional demographic with galleries, bars, restaurants and high end fashion boutiques. 2) There has been a surge in new development in recent years and the neighborhood is now attracting more established buyers priced out of the more expensive downtown neighborhoods to the west (Nolita, Soho, West Village and Tribeca). 3) A sampling of new developments includes: 242 Broome Street ($2,000/sf), 196 Orchard Street ($2,300/sf), 287 East Houston St. ($2,100/sf), 50 Clinton ($2,100/sf), 204 Forsyth St. ($2,600/sf), 150 Rivington St. ($2,100/sf), One Manhattan Square ($2,200/sf), and 215 Chrystie St. ($4,200/sf); note-average sales prices; source-Street Easy. 4) The Lower East Side like the East Village, Hell’s Kitchen and Harlem are all prime candidates for further transformation and new development as Manhattan buyers seek a value play.